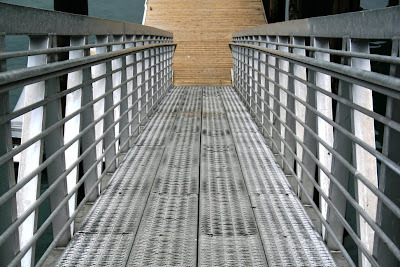 The ramp down to the dock at the Silver Cloud Inn on Ruston Way. The photo turned out pretty nice IMO. Went for a walk over the weekend with Herself and took a bunch of photos. The tide was really low, as low as I've seen it. I really like this one ... it has a real sense of movement almost.